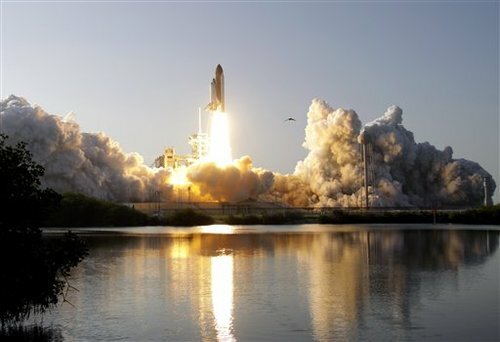 The Space Shuttle Discovery launched today for it's final voyage. The mission code is STS-133. There are two more missions, STS-134 (Endevour) and STS-135 (Atlantis). About nine month ago I already reported that Atlantis would be on the final journey back then, but NASA added the STS-135, and now Atlantis has the honor of really being the last Shuttle in space. There are rumors that one of the Shuttles would remain available, just in case we need to save the Earth from that comet, or rescue inhabitants from the ISS. But perhaps this is just a geek's fantasy.